A veterinary hospital should take pride in knowing that you selected an effective, safe and pragmatic product that will improve a pet’s quality of life and enhance the bond between the animal and owner. Your veterinary hospital has decided to carry a new product. It could be something brand new to the market or something that has been around for some time and now you think it will be a better fit for your clients and their pets. Either way, change is about to happen. The success of a product launch is determined long before the product is placed on the clinic shelf. By teaming with your pharmaceutical representative or territory manager, and with thorough planning, a smooth transition can be assured. Where to start? Many times when introducing a product, an initial order discount or special might be available. The incentive can be lucrative, but the last thing you want to do is overorder. On the other hand, you have the opportunity for a one-time cost savings. If the product is going to replace an existing one, running reports within your practice management software will help you make realistic forecasts. If the product is a new endeavor, you can forecast based on the number of patients you think qualify for the product. Either way, use as much available information as possible to make an educated decision about your opening order. When it comes to computer software, now is the time to assign codes and prices. You might need several codes based on the product sizes and dosages. Note that you need to input the information in advance of any staff educational meeting or launch. “Congratulations on your purchase of [Product X] here at ABC Veterinary Clinic. In doing so, you are providing your pet with the latest advancements to help him or her manage [Condition Y]. [Product X] is one of the newest products available to support your pet by doing [Examples 1, 2 and 3]. Please contact us if you have any questions or concerns”. Congratulated the pet owner on following your hospital’s recommendation. Re-educated the client on how the product works. Reassured the client that you will be available to address any questions or concerns. Next, you need to make sure you understand any rebates, promotions and added-value programs. Have all the information readily available to hand out to clients as they make a purchase. If it is done at the hospital level, have a way to easily administer rebates and ensure that product redemptions or payments are not missed. Assign the responsibility to a staff member, and tell her ahead of the launch what her role will be and what is expected. Rebates and promotions are the most underutilized tool we have in our veterinary hospitals, in my opinion. They are another benefit we can provide clients as they follow our recommendations for their pets. Maximize the opportunities and be prepared. Next, confirm that client-education tools are ready. This might be as simple as a brochure or as sophisticated as a 30-second video demonstration shown on a wireless tablet in the exam room. You also might employ hyperlinks on your website, client e-mails or laminated clinic posters. Whatever route you choose, make sure the educational pieces are ready for the launch. You have selected a new product and identified the core reasons for it. You have identified and predicted initial purchase quantities, taking into consideration any first-time purchase discounts or promotions. You have created pricing and coding within our practice management software. You have added invoice messaging that can be printed or e-mailed. You have evaluated and prepared client rebates. You have solidified our educational pieces for use in the exam room, reception area or client’s home. Each of these steps is critical in adding the necessary structure before the launch. The last piece before you get the staff educated and excited about the new product is establishing realistic compliance goals. This takes us back to the beginning of the process. Why did you select the product? Given those reasons, along with the number of potential patient users, you should be able to construe reliable and obtainable goals. I never look at these as financial goals, but I would be lying if the goals didn’t generate sales revenue. A veterinary hospital should take pride in knowing that you selected an effective, safe and pragmatic product that will improve a pet’s quality of life and enhance the bond between the animal and owner. What a beautiful thing. In addition, you’re motivated to recommend products because you know that if you don’t, someone else will. And the other party might not have the pet’s best interest in mind nor the knowledge necessary to make the best recommendation. You are now ready for the staff meeting. It might be as simple as a lunch and learn involving your pharmaceutical rep or territory manager. What is important is a co-presentation. 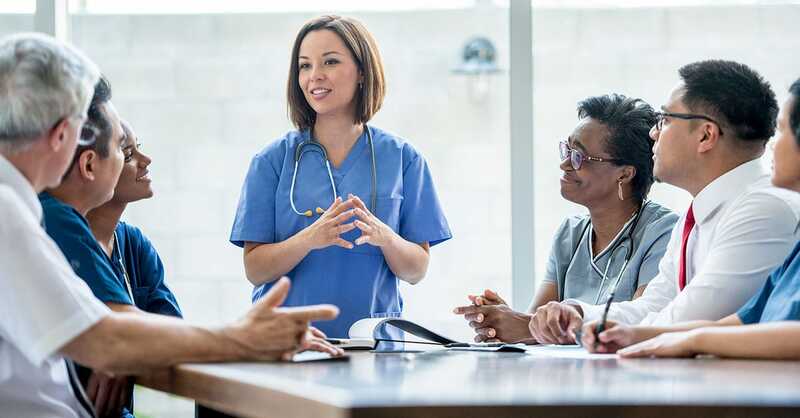 The practice owner or medical leader needs to stand up in front of the team and explain her excitement about and endorsement of the new product. Go over the whys and the top three reasons for the decision. What is going well with the launch? What product pushback have you had? What additional resources are needed to ensure client compliance? A successful product launch is more than a fancy lunch and learn. While the decision on which products a hospital is going to recommend and carry is one of the most critical steps in the process, the planning and foundation created for the launch is a close second. Many veterinary hospitals get it backward. They decide to carry a product, perform random staff training and then wonder why they don’t gain traction or momentum for their recommendations and compliance. Take the time to do your product launch the right way. This will provide the greatest probability for success. Now count down with me: 3, 2, 1, LAUNCH!